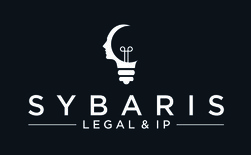 The Sybaris Legal & IP broking team provides bespoke insurance mediation services for legal professionals, and their clients. We are a "one-stop-shop" for the legal profession, and you should have no need to discuss insurance requirements with any other broker. Our team are specialists, and have legal qualifications (including law degrees and the LPC), and we have an in-house patent attorney in the team, and a former partner from a City law firm as a consultant. We truly stand out from the crowd. We also offer all of our services on a wholesale basis to regional brokers. We can also arrange other types of cover for you, and your clients, including solicitors misconduct legal expenses insurance (including COLP and COFA cover), Cyber Insurance (either 1st Party or 3rd Party, or both), Title and Legal Indemnities cover, and comprehensive Office Insurance. We are based in the City of London, in the heart of the London Market, and have direct access to Lloyd's of London as well as the London Company Market insurers. We are even able to provide tours in the Lloyd's Building for our clients (to be arranged in advance, and limited to 1/2 guests at any particular time). We arrange professional indemnity insurance for solicitors, and have direct access to a highly competitive panel of Participating Insurers. Many regional brokers, both large and small, utilise our placing services to access our Markets, and our expertise in this specialist class. We have always acted as expert wholesale brokers, and we can now offer these services directly to solicitors as well. We can arrange cover for any size firm, from sole practitioners to large LLP's and Alternative Business Structures ("ABS" firms), and we provide many of our clients with tailor-made programmes with multiple excess layers. With direct access to Lloyd's of London, as well as other "broker-only" London Market insurers, we can find the most competitive solutions.